Homepage / Samsung / Samsung Galaxy S10: Does the new top smartphone really look so unusual? Samsung Galaxy S10: Does the new top smartphone really look so unusual? The Samsung Galaxy S8 and Galaxy S9 look like identical twins. Connoisseurs will see the differences, but if you only risk a glimpse, the phones look the same. That should change with the Galaxy S10 – and it has to be. The Galaxy S9, which is currently on offer at a new best price, is not selling as well as Samsung had previously expected. In a benchmark, an unknown smartphone of the South Korean manufacturer was discovered, which could be the next top smartphone. There it is revealed that the aspect ratio will change. Instead of 18.5: 9 like the Galaxy S8 and Galaxy S9 could be the screen of the Galaxy S10have an aspect ratio of 19: 9. But how would this change affect the look? 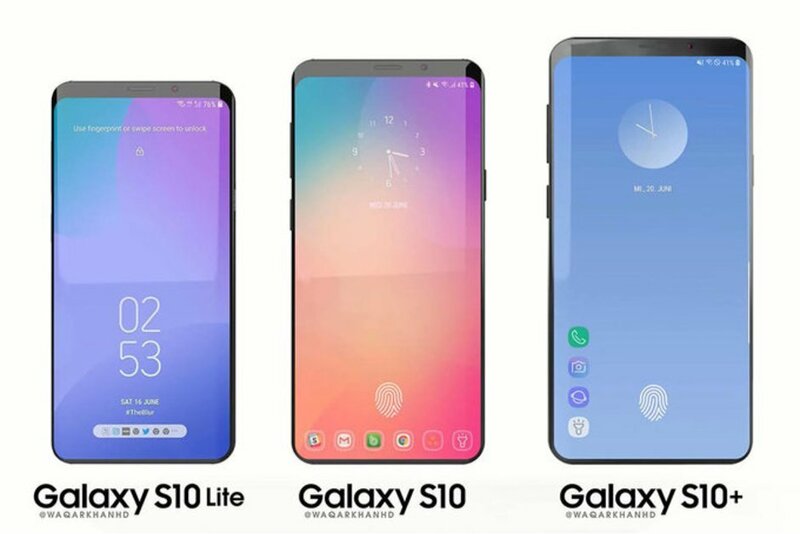 Three new Samsung Galaxy S10 smartphones in a new design. ( Source : @Waqarkhand ). On a notch at the top of the display, Samsung would continue to do without this design and explain the even more elongated aspect ratio of the screen with it. This would actually change the design “significantly” compared to the Galaxy S9. Nevertheless, it would still look like a Samsung smartphone – just not like an iPhone clone. Samsung would counter the three Apple smartphones iPhone XS , XS Max and XRwith the additional 5G model, but also directly cover a new technology, which is not available at Apple at the current time. What do you think? Next post Nokia 7.1 Plus Adoption Bangs and Double Cameras with ZEISS Lenses?